Tomorrow I am travelling with Robin to #Wikimania. We are looking forward to meet our Wiki friends irl. We will have fun meeting new and old friends and we may see the sights of another beautiful city. I am Robin Pepermans and I live in Flanders, the northern part of Belgium. 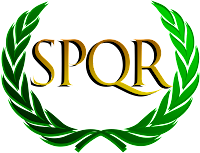 I just finished my secondary education, having studied Latin and modern languages. My next studies will likely be Public Administration and/or Translation Studies in Ghent. I started editing the Dutch Wikipedia in 2006 under my username SPQRobin. 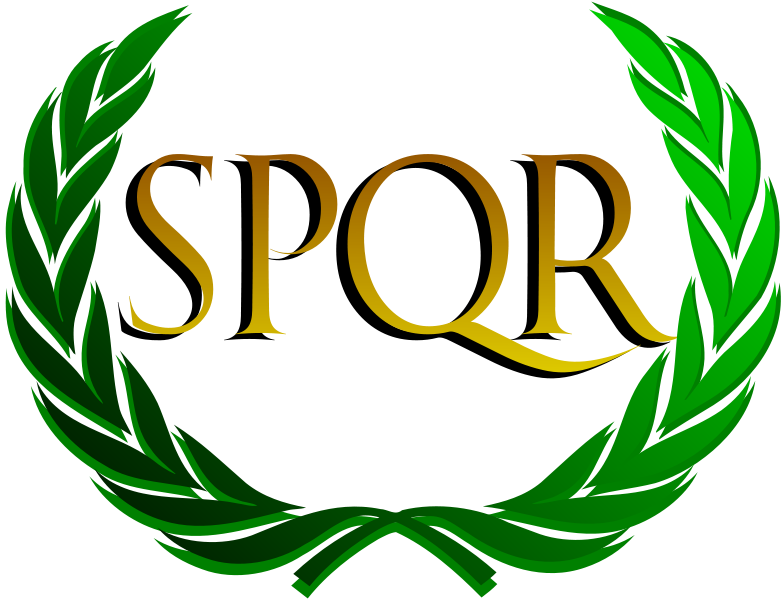 At that time I was very interested in Roman history and the Roman Empire. Even though my interests quickly shifted, I remained known under this nickname since then. As I become more active in the wiki world, I discovered Meta, Commons, and also the Incubator. It was a relatively new project, where new language editions of existing Wikimedia projects are developed and maintained until they are active enough to have their own sub-domain. Incubator was however not maintained well, so I improved it and helped the users there. A few more people joined me, and there is now a little group who maintains the Incubator. Not only was Incubator itself not maintained, the process to start a new wiki was often slow and people kept asking when their wiki would be created (sometimes with no response). To improve communication, I became a member of the language committee in 2009. This committee is in charge of deciding which Incubator wikis are ready for creation. Incubator, being a special wiki like Commons, required some software features that are not easily available in MediaWiki. Therefore I applied for commit access so I could create a MediaWiki extension that provides these features. It took quite some time for this extension to be enabled, maybe because Incubator is a lesser-known project and not a high priority. I am working further on this extension, for example the plan (that especially I and Milos Rancic are pushing forward) is to make subdomains of non-existing wikis (e.g. xmf.wiktionary.org and yua.wikipedia.org) redirect to the respective welcome pages or main pages at the Incubator, (xmf Wiktionary and yua Wikipedia). I am really looking forward to my first Wikimania. I hope to see a lot of people who I know from Wikimedia in real life, and to meet other people as well. I am going to the developer days, where I will talk about my RTL work and improve it even further with other developers, especially for the issues that I am not able to fix myself :) I could also talk about the Incubator improvements that I am developing, such as the welcome pages for non-existing wikis. Since Belgium, my country is one of the few Western countries without a chapter, I might talk with other Belgians and Dutch people about a possible Wikimedia Belgium or even a possible Wikimedia Benelux. The sad thing is that the developer days coincide with the Global South Meeting and Chapters Meeting, which both seem to be very interesting. Currently we are growing quite slowly in my opinion. There are yearly some ten to twenty new wikis opened, most of which are in European languages. Sometimes there are promising projects organised, that want to help languages in the Global South to get their Wikipedia, but then I didn't hear of them anymore. My hope is that the chapters set up such projects. For example India, Indonesia and Australia are starting to become active in helping small languages get support and get their Wikimedia wikis. South America is less active but I hope they will join too. As Sherin grew up, she learned Soranî at her parents knee. Her family moved to Baghdad, and she learned Arabic at school; reading and writing. She graduated from university, learned English, and when continued living become impossible in Iraq, she escaped with her life and her family and ended up in the Netherlands learning Dutch. 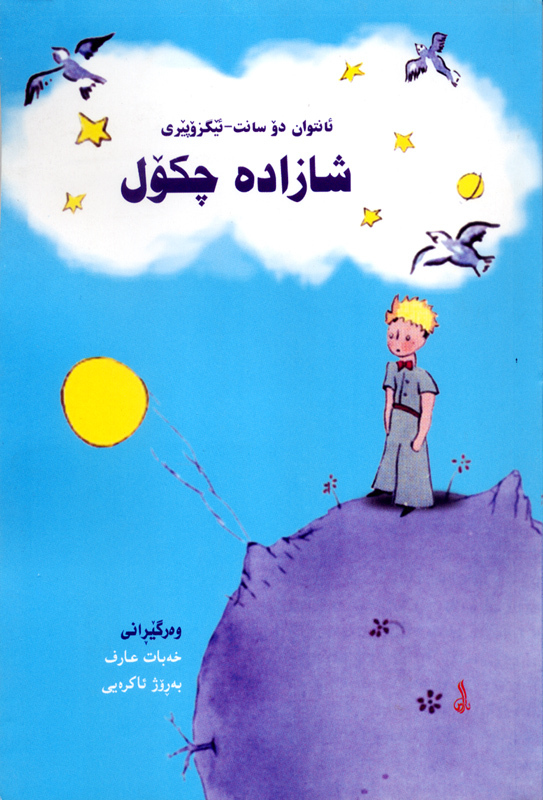 Sherin was at a party and was pleasantly surprised that someone even knew that Kurdish consists of several languages. 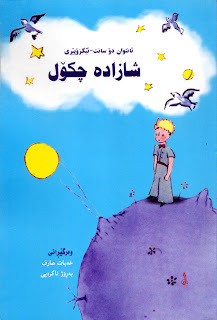 We talked about her language and I learned of her regret that she never learned to read and write Soranî. There is a Wikipedia in Soranî and Sherin would be really happy to contribute, she has the skills, knows and loves her language and she is willing to learn. There are many people like Sherin, competent people, knowledgeable, friendly people who are illiterate in their language. It would be great to have courses or know about courses that teach adults to read and then to write their mother tongue. When it was announced that it is possible to send an e-mail in SignWriting, it was Thorsteinn who posted the first message on a public list as far as I know. He added a message in English saying that he may have selected a wrong sign and he expressed his hope for all the recipients to be able to read it. When your ability to sign is as good as mine; it is not only a different language, a different script but also a different delivery system, it will be hard to understand what this messages is about. 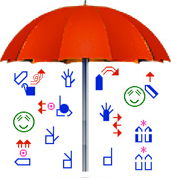 What we have are the different symbols expressing gestures and facial expressions. There are the vertical lanes for the direction of the text. There are the breaks between the sentences. The hope is that SignWriting will soon become accepted and encoded by Unicode. This will realise much needed momentum for every sign language. The hope is that shaping engines like HarfBuzz will adopt the shaping rules quickly so that Wikipedias in sign languages will no longer be a dream waiting to come true. I subscribed to the blog of UnderstandingFonts. An organisation that is in the type design training business. One of the questions they obviously ask is "Why make new fonts ?". Obvious because when there is no reason for more fonts, there is no reason for their business. The arguments they provide are good. They are applicable to Wikimedia projects as well. It does make sense for Wikisource or Wikibooks projects featuring historic content to have a font that reflects the historic character. The problem with fonts is that they are often incomplete. Typically a subset of the characters of a script are selected. 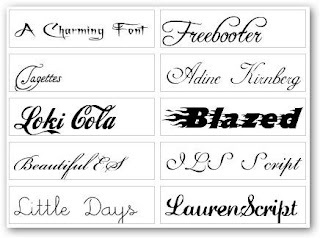 When a font is freely licensed, it is possible to add to the existing work and add those characters that make a font usable for another language. This is of particular relevance for the fonts that will be used as web fonts by the Wikimedia Foundation. At that, it would be good to have a tool that checks for what languages a particular font is usable. When good people associate Unicode with this #XKCD strip, things are wrong, seriously wrong. The value of a standard is in its acceptance. 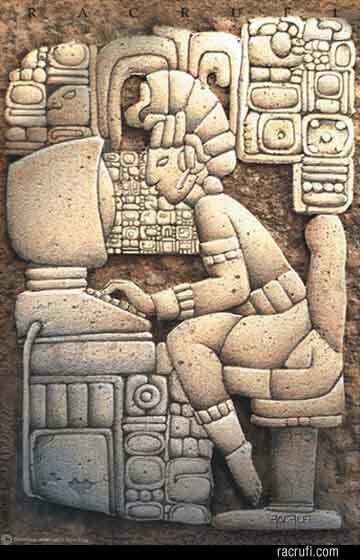 Unicode is best known for its work on scripts and it is this work that makes Wikipedia possible. Without the standardisation brought about by Unicode it would be impossible to support the 270+ languages who have a Wikipedia and, the languages working towards their Wiki in the Incubator. 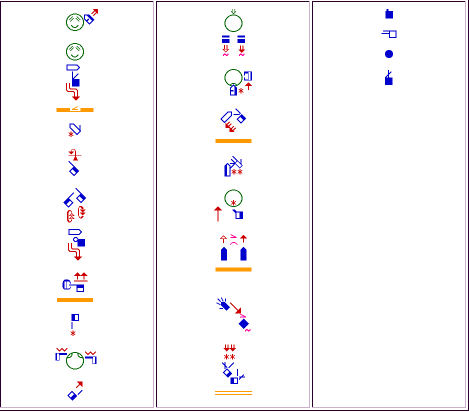 As there is confusion about Unicode lets analyse what is said. First of all, Unicode is a work in progress. As a consequence there is no guarantee that every script has been encoded and, there is even less of a guarantee that a font is available let alone a freely licensed font. One reason why the situation is not good is because many organisations consider the development of Unicode encodings for scripts and fonts out of scope. Unicode is a consortium of companies and organisations. Particularly the companies have an interest in ensuring that the technology represents its investments. 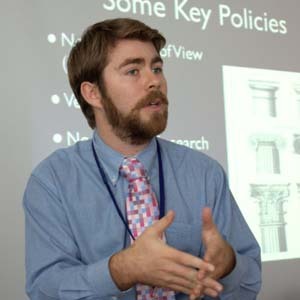 When individuals are singled out negatively, particularly people like Michael Everson who does not represent company interests, who is involved in open content, it becomes clear that Unicode should to do what it is supposed to do and provide support for languages, all languages and scripts, all scripts. 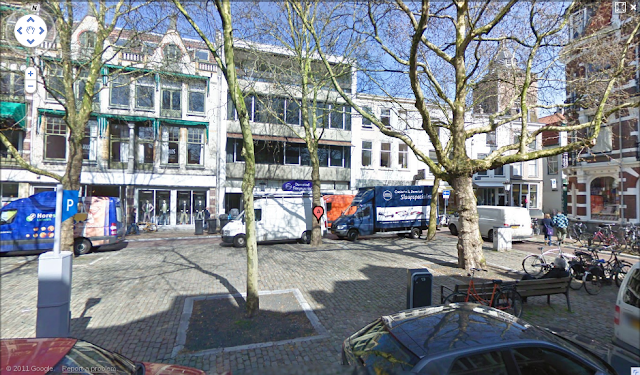 Finding the office of the Wikimedia Vereniging Nederland in Utrecht seems easy; you have the address, it is close to the railway station, so you walk there. It should be easy; Mariaplaats 3. When I got there, I could not find it. 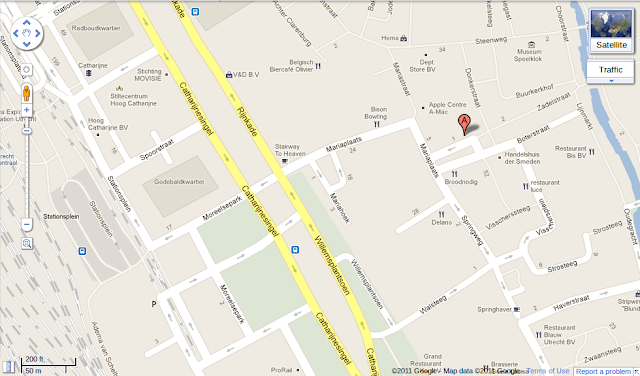 It turned out that the Mariaplaats is not just one street, it goes around the corner and then again... Weird. At the time of my visit there was no telephone number on the website. So it took me quite some time to reach my destination. When you are to visit the Dutch office, call ahead or better mail Marjon, have a really good look at the map and you will find the buzzer that needs to be firmly pressed. Things have been happening at Wikimedia México, we have one GLAM partner, the Museo de Artes Populares in Mexico City and two recent preliminary agreements with the Direction of Museums of the state of Colima and the Museo Ma Teresa Pomar at the University of Colima. This same university has also started a Wikipedia Club, the first in Mexico. Thanks to Rodolfo Velasco, Angie Mojica and Hugo Rodriguez for all their hard work! This makes us really happy however, we want to do even more. I recently posted a message on a listserv for English teachers in Mexico run by the U.S. embassy in Mexico City with the idea of recruiting language teachers to Wikimedia Mexico and the wider Wiki world. I have received sixteen responses so far to that mail and have directed them to our website and to add themselves to our listserv, but I will need to do more for this to get off the ground. I believe foreign language teachers and foreign language students (especially those majoring in foreign languages) are a natural fit for Wikipedia and Wikimedia as not only is the encyclopedia multilingual, the organization is international and multicultural. It can provide language students a place to practice their language(s) in an “authentic” way (meaning in the real world for something other than grades) and give both teachers and students a way to network internationally, learning intercultural communication skills. I would like to network with Spanish-as-a-foreign language teachers from anywhere in the globe to form partnerships with Mexican foreign language teachers using Wikipedia as a medium of communication. This could be a good way to get interested teachers started and more teachers interested. I teach English-as-a –foreign language but I can get in touch with teachers of other foreign languages here in Mexico. Supporting old old browsers is expensive. Not only are many old browsers less compatible with standards, they also do not support emerging standards like HTML5. The continued support for IE6 in MediaWiki prevents the adoption of new technology. People who blog using Blogger have been informed that only the latest two releases of Chrome, Firefox, Internet Explorer and Safari will be supported from August 1. It also states that this will also affect popular Google applications like Gmail, Google Calendar, Google Talk, Google Docs and Google Sites. Let us hope that Google will be able to force people to use an up to date browser; this will make the development of MediaWiki a lot easier and a lot less expensive. As the Getty museum is one of the richest repositories of our world heritage, it is not strange that many of the objects that are conserved there have ended up in Commons and are used in many Wikipedia articles. We do not really know what we are using of the Getty and consequently we cannot compile the statistics that show the relevance of the Getty to us. 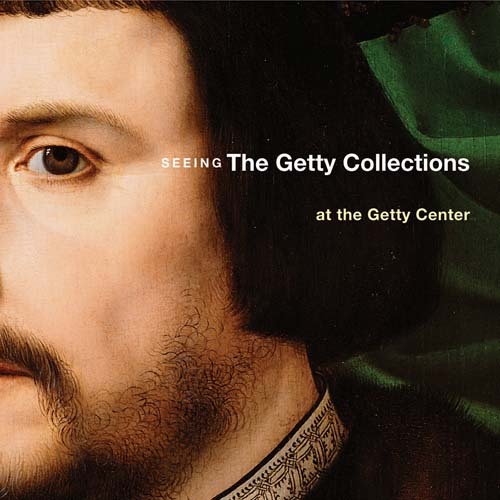 The Getty museum was represented at communicating the museum in Düsseldorf. They do know that items of their collection have found their way to Commons. They are interested in learning how well it is doing. They would consider sharing annotations with us for what is already there and this might lead to more collaboration. To make this happen, someone has to create a Getty museum template and start applying this to the media files that indicate that the object represented can be found at the Getty. The Toolserver has tools to automate this to some extent. HarfBuzz is an OpenType text shaping engine. A shaping engine is necessary to properly show the shape of characters that are part of a font. HarfBuzz is the shaping engine that is used for instance by Firefox, Chromium and Android. As changes to Unicode do not only involve changes to characters but also to the shaping of characters, it is important to have a shaping engine that is up to date and works well with the fonts provided. HarfBuzz is being worked on by strong players in the Open Source world, what the Wikimedia Foundation can do is understand the importance of the stack and work on those parts where it will make an obvious difference; making sure that the scripts, the fonts for its languages are well supported and stimulate the development of tools like HarfBuzz. More detailed information on HarfBuzz and its current issues for several scripts. 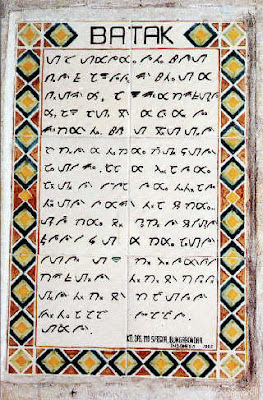 When the Batak script became supported by Unicode, the Batak languages became technically ready for the 21th century. Practically there is still a long way to go because there is no font yet that supports Batak. The cost of having a technically correct font that does justice to the language created is relatively minor; for some EUR 5000,- such a font will be created and become available under a free license. Once a font is available, it is possible to reach out to museums in the Netherlands like the Tropenmuseum and ask them for quality scans of their documents in the Batak script. When these are then transcribed, a rich source of information about the Batak culture will become available. There are plans for a conference in Bali where people who are involved in Indonesian languages are to be motivated for involvement in WMF projects. Demonstrating how languages can get a new lease of live can be done by having a source project running for the Batak languages in combination with Dutch museums. This kind of outreach has been suggested to Wikimedia Australia. Sadly they have not come to a conclusion yet on what to do. I would love to see this project started as soon as possible and am happy to reach out to the Dutch museums. #MediaWiki needs to evolve. It needs to become more usable, social and global. The good news for the Wikimedia Foundation is that it is not the only user of MediaWiki. Wikia has also invested deeply in extending MediaWiki and giving its MediaWiki wikis a much more modern experience. It is wonderful news that four Wikia developers received SVN commit rights. By involving Wikia developers in the development process, Wikia will have less work to integrate all the bits and bobs in the future while WMF will benefit from the knowledge and code that already scales for Wikia. It is a win-win situation and I hope we will learn more as this story develops. 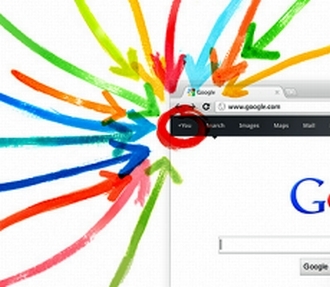 Google is asking its users to make suggestions how it can improve the coexistence of GMAIL and Google+. There are many things that will make the user experience so much more worthwhile. I would like to be able to retire mail addresses for contacts, the addresses no longer in use. when searching old mails are typically still relevant. I am sure people will have more suggestions, these are the ones that come to my mind. Claire Solery was very much involved in the organisation at communicated the museum in Düsseldorf. Getting us Wikimedians to this conference was something she worked hard to achieve. Claire was happy with our activity, my blogging so I was happy to offer for her to be a guest blogger. Enjoy! (Free) images are sometimes more appropriate than words. 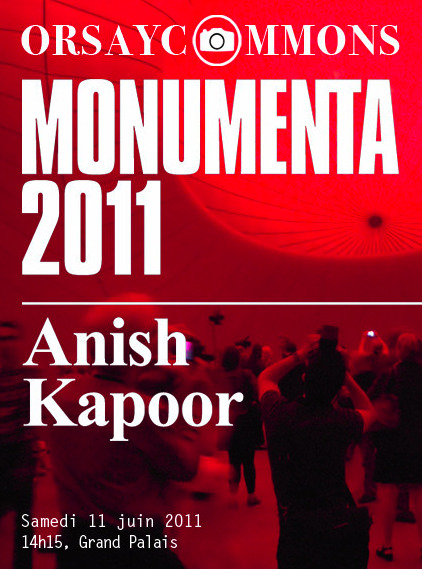 I had the opportunity to present the work online I did for a project in France called Monumenta which featured a work of art by famous British artist Anish Kapoor named Leviathan for a month and a half at the Grand Palais in Paris. Part of the project was to work on the visual aspect on the piece and how visitors could relate to it on a more personal level and build a relationship to the art through their own vision, not mediated by images taken by third parties. I was myself surprised by the quality, diversity and creativity of the images we gathered and how they were able to reinvent one work of art almost every single time. Because you are taking a picture does not mean you are being less active or opinionated than when writing a text, it would seem, and sometimes it can suit your goals more. On our way to building this organic « guestbook » Monumenta was asked by a group named OrsayCommons to come and make a photo, livetwitt and discuss while the event was running. OrsayCommons is a pro-photo, pro-remix and pro public domain group which was created after the ban by Musée d’Orsay in Paris of photography in its exhibition spaces. Initially based on forbidden actions within the Musée d’Orsay, they proceeded to come at Monumenta , which picture taking policy is about asking for authorization to photograph only when using a tripod, and requesting a simple copyright while publishing pictures taken in situ. The action generated photos, discussion (if your French is up the scratch) and above all a good deal of social bonding. 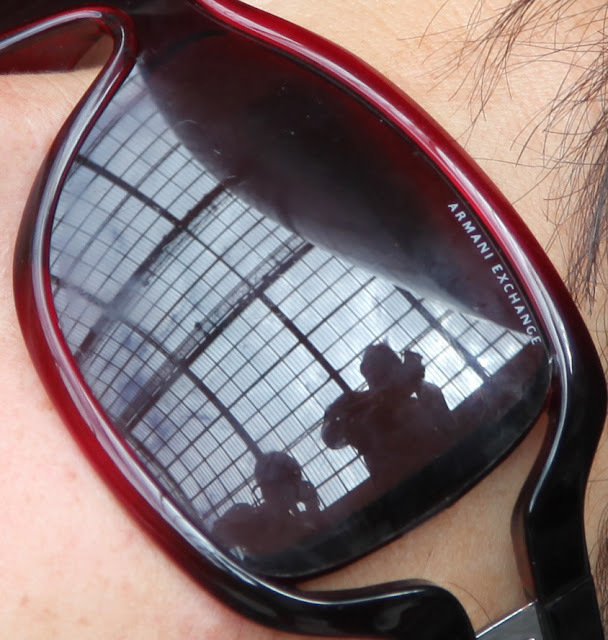 The argument often used against free photography in exhibition spaces is that it diminshes the quality of visitor experience by visual pollution and repetitiveness of the picture taking process which in turn gets in the way of a real appreciative experience. 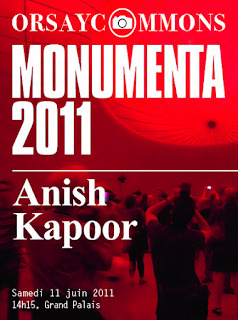 Is this bound to be the casehttp://monumenta2011.tumblr.com/ ? Maybe not. Another point is that in anyways, the quality of the pictures is going to be poor, and touristy-like. You will check out the Monumenta Tumblr account and let us how you feel about this point. I think above all there is concern over controlling the image of the museum through all the images circulating, which is, obviously impossible. With 175 pictures in our Tumblr account, which was enriched by OrsayCommons coming we are not exactly scary, but we offer the possibility for people to nurture and further their vision and appreciation of art. Thanks to Communicating the Museum for letting me present and thanks to the trust of Monumenta teams in conducting this project together with Charles Dufresne. People are waiting for an #IPO and you are being hyped as worth more then many industries. Many people are part of your statistics because you are considered must have. My problem with you; the lack of utility. There is not much in your offerings that makes me actually log in, update my status and do whatever. Oh and yes I connect regularly to Facebook as there are people who want to be my friends. So yes, I am part of your wonderful statistics that show the gullible that the amount considered for you IPO is actually an investment. The best example of how fickle your position is is best illustrated by the previous king of social networking, MySpace. It was sold for mega dollars to a suspect company and it was sold on for a pittance because it is hard to manage an asset like MySpace and make a profit. 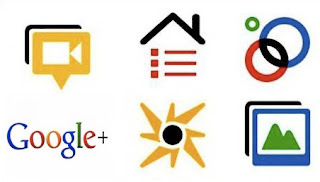 With the advent of Google+ you have another headache. A serious competitor that you cannot buy with the ridiculous amount of cash you may receive from your IPO. Google+ already has a superior approach compared to yours. It integrates the things I already know, the things that make me productive and it is therefore not the total waste of time you offer. when a conference is about communicating, twitter and blogger are your friends. I want to thank all the people I had the privilege to meet; you are great. Great conferences like the communicating the museum in Düsseldorf come to an end. A camera team is asking for sound bytes from the participants. They even asked me for a reaction; I loved the conference. It has been a great opportunity for us to reach out. Wikipedia will still be there, all the GLAMs present at the conference will still be there. We are having a conversation with many of them. A conversation that will be of benefit to all of us. Check us out, check out the conference website and join us in a conversation. Wikipedians found your freely licensed content and are using it. You want to know what impact your material has so what is it that you can do. It is important to realise that we can and do have statistics. These statistics show where material is used on what wiki and it shows traffic. These statistics make use of templates on Commons. These templates are used to identify images for its source. When the source is you, it makes sense to have your own template. When you start with an existing template like the one for the Tropenmuseum, it should be fairly straightforward to copy it and butcher it so that it can be used for material that is in your museum. As you add these templates to the material, it will become possible to run our statistics process for you. Typically you will find that over time your material is used by more articles and consequently traffic goes up. Yes there are tools to find references to your GLAM and yes, there are people who can run bots to include your template for you. There are plenty of opportunities and we welcome your input. A big GLAM like the Tate sends many people to a conference like communicating the museum. It allows for many conversations; at breakfast I met a lady from their commercial department. She is another one wondering how collaborating with these guys representing Wikipedia makes sense. A commercial department is about revenue, so I talked how sales of images goes up. How we can provide statistics on articles using the material of a GLAM, about traffic. This is essential information because it is the kind of information that justifies continued funding. We talked meta-data and how pictures without meta-data does not provide the reliability we seek for our facts. How a reference to the website of a GLAM can drive sales. We talked about people just grabbing the material without any regard for the GLAM that conserves the depicted material for next generations. We agreed that it is a fairly fixed percentage who is involved in such a way. They do not contribute in any way so they are best ignored. Collaboration works best when we share information, when we share the imagery with the meta-data, when we are partners in bringing information that becomes knowledge to the people of our world. 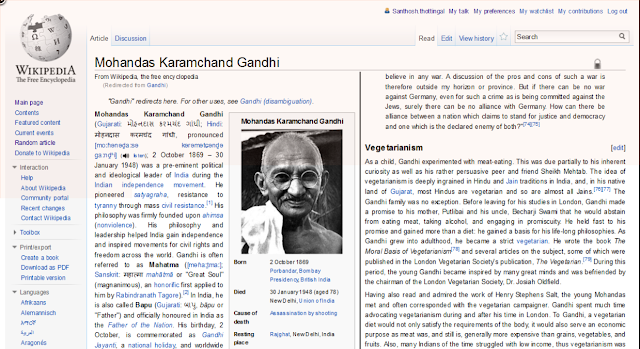 When you have a big screen, reading a Wikipedia article like the one on Gandhi becomes a pain. The head must move all the time, the letters are small. Not good. A small CSS trick allows you to read the article in multiple columns. This is only for modern browsers ... even IE9 does not qualify ... As it is only four lines, I present to you the Firefox version. Digitizing a Malayalam book is quite different from digitizing an English book. For an English book you use OCR and move straight on to the proofreading and formatting of the text. It becomes even more interesting when the text is rich in all kinds of annotations like in this dictionary. It is the the first Malayalam-English-Malayalam Dictionary by Dr Herman Gundert. There are all kinds of opportunities here, ehm problems. There is no OCR for Malayalam yet so it has to be crowd sourced. The annotations are cryptic and make only sense in a dead tree dictionary. When you digitize such a text and it remains a flat text and consequently it is extremely hard to use the public domain content elsewhere; in OmegaWiki or in Wiktionary for instance. Santhosh is experimenting with Semantic MediaWiki . It will allow for exportable information and, that will make the data gained much more useful. WebFonts, the MediaWiki extension that makes those languages readable that you do not have the fonts for, is surely getting better. Look at these two screen shots; the first one shows how a specific font can be selected while the second one shows the result. What you will notice is that the support for the different scripts under Linux is adequate. The texts in the different languages shows properly. The Yunghkio font however does not do the Myanmar language justice as you can see in the result below. The text in Myanmar is not properly rendered. Now that we can show multiple web fonts on the same page, the next phase will be to default to a font when a specific language is indicated. This will be the default scenario for making use of web fonts in MediaWiki. At this time it is the WebFonts extension that allows for specific behaviour that benefits someone who is visually handicapped. The size of the characters and also the colour of the characters can be selected. 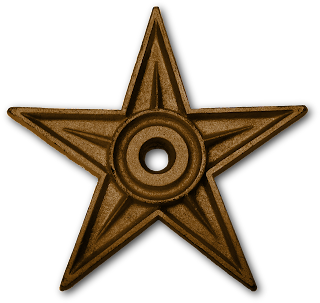 Consensus has it that this should be available from the preferences and consequently it needs to move into MediaWiki proper. Such things make sense. When you have, like the Tate, multiple locations each with their own article, it becomes a bit distressing to be told not to edit. People in GLAM do understand NPOV, they understand the need for sources. What they also understand well written articles. Well written is not the same as marketing speak but it is very much a step up from the current accumulation of facts. I introduced the ladies of the Tate to John, I informed them about many of the vagaries of editing Wikipedia and I am sure that the articles about all the Tates will become a much better read. At an international conference, there is the opportunity to reach out to people who come from all parts of our world. Meeting with the head of IT-services of the museum of Islamic art is something of a privilege. We talked about the Arabic Wikipedia, about the English Wikipedia about the quality of translations and the horror that are machine translations. We talked about getting children interested in what museums have to offer. Most relevant in the context of communicating the museum, we explored a little bit if it is possible to have a Wikipedia meetup, a GLAM meetup in Qatar. We talked about backstage tours, editing time with conservators, getting the message out that Arabic has to be written well in order to attract visitors. It will be a happy occasion when our worldwide audience learns more about Islam, Islamic art. It will be a happy occasion when quality information and imagery finds its way into our Wiki world. A happy occasion because it will bring us closer. Alice of #WMDE is one of the wikimedians present at communicating the museum. We talked about Wikipedia and the possibility of funding several projects by the German chapter. This is a substantial amount of work for a project, an organisation that has been underfunded for a long time. The relevance of this development is global; it has the potential to impact all people everywhere who sign to communicate. It will bring existing cultures to a state where what they do can be written down. There are already two requests for a Wikipedia in a sign language. They have the special status of "on hold". The language committee considers these request as "eligible", we consider SignWriting as the only viable option to write sign languages. What we are looking for is EUR 150,000.- and we know the German Verein has a program that allows for the funding of up to EUR 50,000.- This request for funding is on behalf of the SignWriting organisation; a registered charity under California law. The first 50K will be mainly used for the technical work needed. As I promised Alice, this request is short and to the point. It contains all the relevant facts. I hope that the Verein will honour this request because of its relevance. I hope that the Verein will work with the SignWriting organisation to realise the other 100K, this is needed for the outreach and training in those places where SignWriting is still an unknown..
PS SignWriting is used in Germany. It is a privilege to be at a conference like the communicating the museum. It allows me to network with people who are only forty minutes away from my home and who also travelled a considerable distance. People like the two ladies of the Van Gogh Museum. They are not happy with the article on Vincent, consider that the facts are not well represented, that some of the major references are missing. They asked me how to deal with this. We talked about it and we talked about the material published by the Tropenmuseum and how material that museums have in depot may gain relevance when it becomes available at Commons and how annotations are so important, even essential. The Van Gogh museum wants to meet in the near future with the Dutch chapter, they first want to learn about how to improve the articles on content that is dear to them. With this covered we may talk about the material in their depot. Liam is giving his presentation at the moment and, someone has to guard all our stuff. I ended up with the short straw.. It is quite funny knowing someone like Liam for quite some time. He looks impressive, a nice hear cut, a beard, a tie. Not everybody is at all the presentations so I am not bored. The presentations are apparently recorded so I may see it later. The first people are coming out of the room. They liked the presentation but like all native speakers, he is thought to speak quite fast. Fast but understandable.. So check out the website of the conference and you may find what has been said. At the communicating the museum conference people are talking about how to get recognition for their museum. As a consequence, they are talking about the museum as a brand. Some say things like, the brand is the most valuable thing for a museum. I like marketeers, they sell everything including museums and when they do their job well, a museum is visited, well known and relevant. This relevance however is not because of the brand. It is not about the collection, it is not about the presentation, it is about the whole mix. Nowadays it is cool to have an iPAD or what have you presentation, it is cool to have the latest gizmo that makes the visit immersive. It is cool..
For me though, seeing the objects that you know so well in a digitised format is the kicker. The vibrancy of the paint in a painting, the structure of the brush strokes. The paper in a print, it gives the original a vibrancy, a vibrancy that makes it come alive. Go and see the works of arts you know, they are even better in real life. A museum in Belgium specialised in modern art was send a bill for 6000 EURO per annum to pay for using images of art in its collection on its website. Guess what: they shut down their website removed all the offending imagery and despaired a bit. A museum makes the name of an artist, when an artist can be found in a museum his value increases. The one reason for not paying the license fee is because a typical museum does not have the money for such silliness. If an artist wants to be known, it has to license its collectors for their work. That is how they make their name. The money through license fees is a pittance anyway when you deduct the administrative cost. Really license fees are a pain, a pain that hurts. A pain that prevents artists from making their name. A pain preventing artists from finding their public. At the Kunstpalast we celebrate the 10th conference of communicating the museum. Us Wikimedians are challenged to communicate to the communication experts of some of the best museums how to make the most of Wikipedia. A conference starts when the doors open and, we can only talk when there is coffee to drink, lunch to eat or when people are tired of too much information. As we add to the information overload, it makes sense to bring the information close up and personal but also relay the information people are looking for. Have yourself a template for your museum and tag every object we have on Commons. This will allow us to generate statistics both for number of articles and number of visitors. 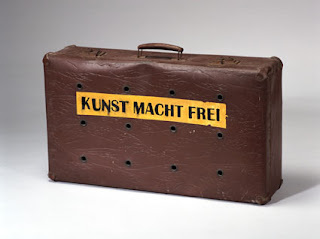 A modern artist has relevance when a museum has works in its collection. There are two opportunities: have an article on the museum website and refer to this on the article. Particularly for young modern artists it is important to have some images of their work under a free license so that the artist can be marketed. It makes sense to have a reference of an artist to a museum. This is how we can help people to the closest museum where an artist can be experienced. Museums do understand what NPOV means; what they need is a text that is not only fact laden but also well written. A good article is well written and the facts that we know is not necessarily the whole story. One reason why it is nice to be here in Dueseldorf is the air conditioning. We are working on our own WIFI so that we can demonstrate our projects to good effect. Because of the economic boycott of Myanmar, investments in the technology of Internet that benefit the people from Myanmar and the people who speak Myanmar did not happen. The technology that enabled the recent Arabian revolutions passed as a consequence Myanmar by. 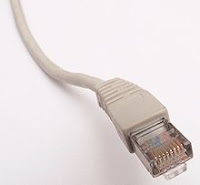 The Myanmar government does learn from what happens in this world, it did acquire the technology to frustrate the use of the Internet in Myanmar and from Myanmar to the world. The lack of development for the Myanmar language does not hurt only people in Myanmar, the language is spoken outside Myanmar and the Myanmar script is used for other languages. 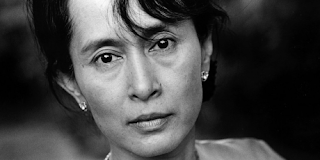 The argument that it is because of a boycott of the country of Myanmar is misplaced. Not only does it prevent people from taking part of the Internet, it also prevents them from using the Internet to the fullest.